In Tokyo, various events are always being held somewhere. Now is the time to show you some of the hottest events going on in September. Many of them are child friendly, so why not join the fun with the whole family? 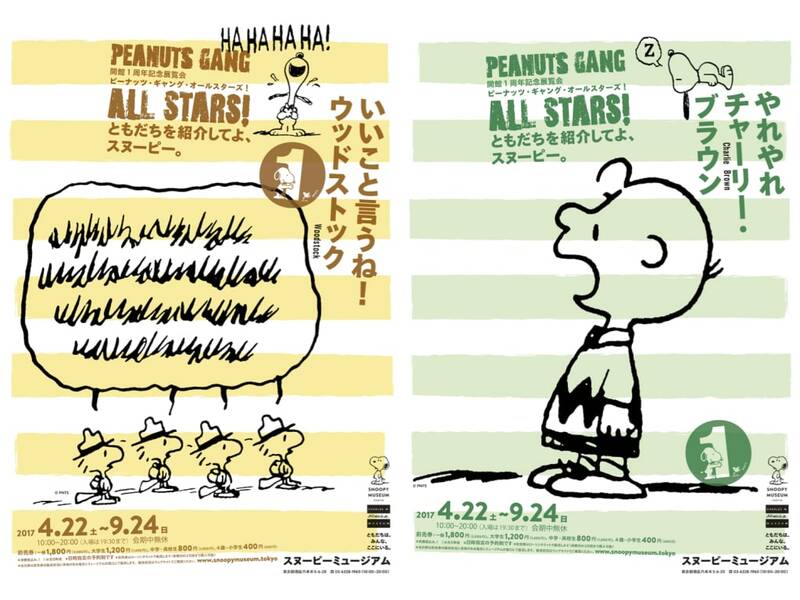 The Snoopy Museum Tokyo will be holding a commemorative exhibit, “Peanuts Gang All Stars!”, for its first anniversary. For those who don’t know, the “Peanuts Gang” refers to Snoopy and all the other characters who appear in “Peanuts”.More than 70 familiar characters are due to make their appearance in this exhibit.At the venue, you will get to know the fun, friendly relationships between Snoopy and the rest of the gang and watch a classic episode showing 80 valuable original drawings as well as new animations.Make your experience of the Peanuts world more enjoyable by getting to know the gang at this exhibit! The Snoopy Museum sells advance tickets by date and time. ※ Shows time to enter the building. Entry admitted if you arrive before reservation time. ※ No restriction on length of stay. Tokyo Tower is considered one of Tokyo’s major symbols. 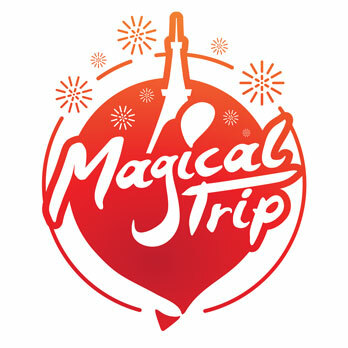 From the observation deck, it is a popular tourist spot where you can see the Tokyo Metropolitan Area in its entirety.Check out this romantic event being held at the Tokyo Tower.On the first floor of Observatory 1, you can see the flowing “Milky Way” on the summer night sky through the beautiful illumination. The outer staircase connecting the observatory and the ground also leads to a romantic place where the blue stars shine.Shooting stars sparkle in the shape of an arc, and hold a bit of a surprise. 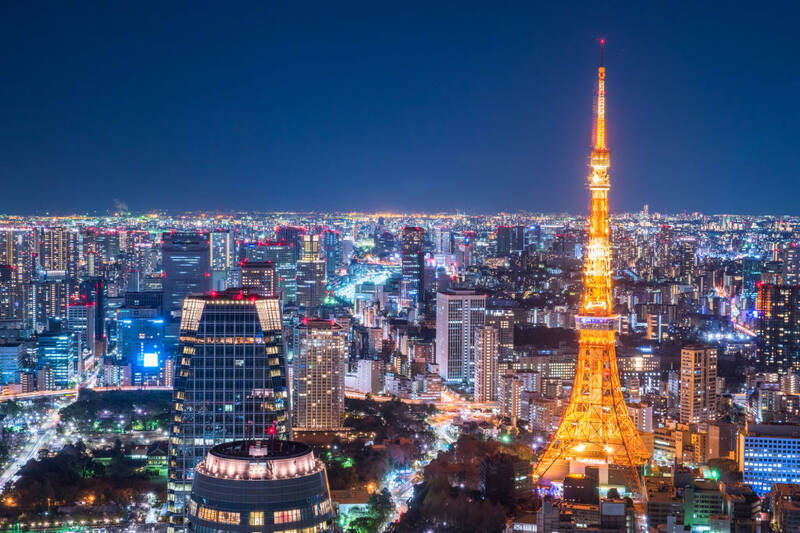 As the night goes on, the night sky behind the observation deck’s window connects with the illumination for more enjoyment.Enjoy the landscape of the beautiful Japanese summer night at this perfect sightseeing spot. 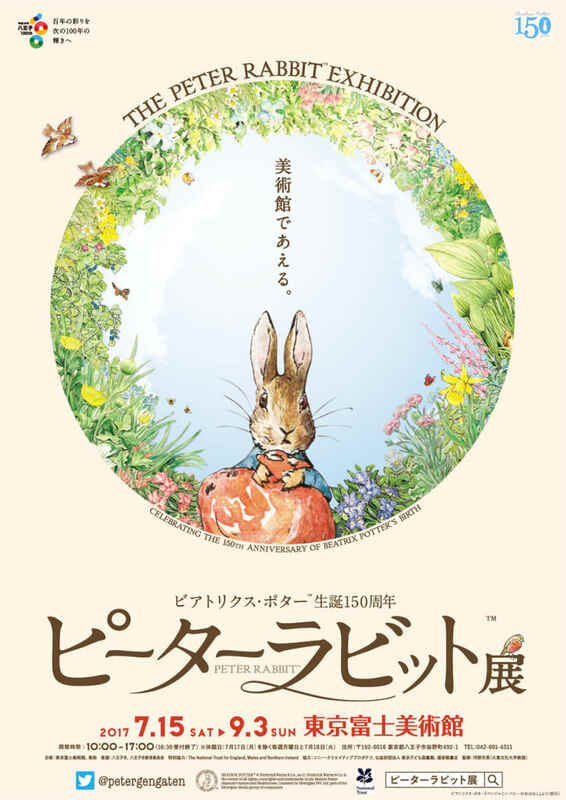 “Peter Rabbit” continues to be loved by people all over the world. This large scale exhibit will be held in commemoration of the 150th anniversary of its creator Beatrix Potter’s birth.At this exhibition, you can see more than 200 works and materials, such as handwritten original drawings and valuable picture books held by the British National Trust, as well as goods used by Beatrix and Potter.Beatrix’s life has opened up the era with strong will and talent.Get to know the birth story of the mysterious Peter Rabbit while exploring the origin of his creation.This is an exhibition that can surely be enjoyed by not only those who know the stories, but also those who don’t. Come explore the world of Peter Rabbit. From Central Expressway Hachioji Interchange Exit 2, head toward Hachioji City Center and merge with National Highway 16. Turn right at the third traffic light (entrance to Yano Road) and go straight. After that, turn right at the second traffic light (Yano Town). Turn left at Ken-O Expressway Akiruno Interchange, Akiruno Bridge, and merge into the National Highway 411 (Takiyama Highway). Continue straight ahead (16 km) towards Hachioji City (6 km). Turn right at Junshin Gakuen Intersection and go straight (700 m). ※ On Saturdays, junior high & elementary school students are free. ※ Various discount rates (groups of 20 or more, 65 years and over, hotel registration, mail magazine etc.) are the same as the advance price. 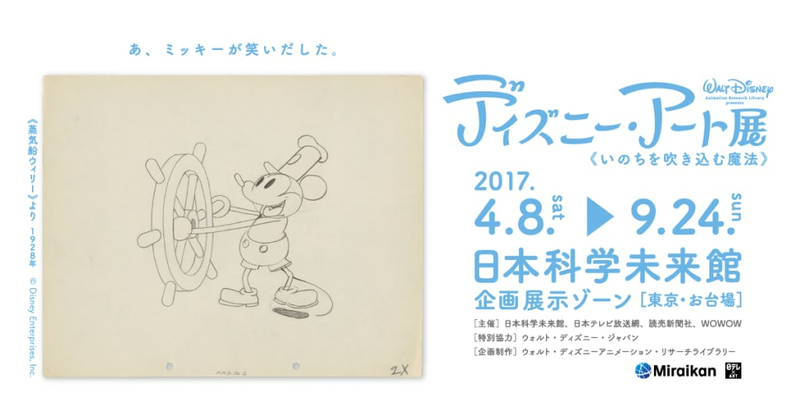 Disney Animation has continued to bring dreams to people all over the world since “Steamboat Willy,” the birth of Mickey Mouse in 1928.In this exhibition, unveil the history of first century Disney. The exhibit will display approximately 450 items such as original drawings, sketches, concept art, and more, with the concept of “the magic of animation”.By making use of imagination, and incorporating the latest technology of the era, Disney animation has breathed life into their work. In other words, Disney has created magic.This exhibit is sure to excite the imaginations of both children and adults with the innovation that is Disney. The Tokyo Bay ship is a large passenger ship of 5000 ton class. 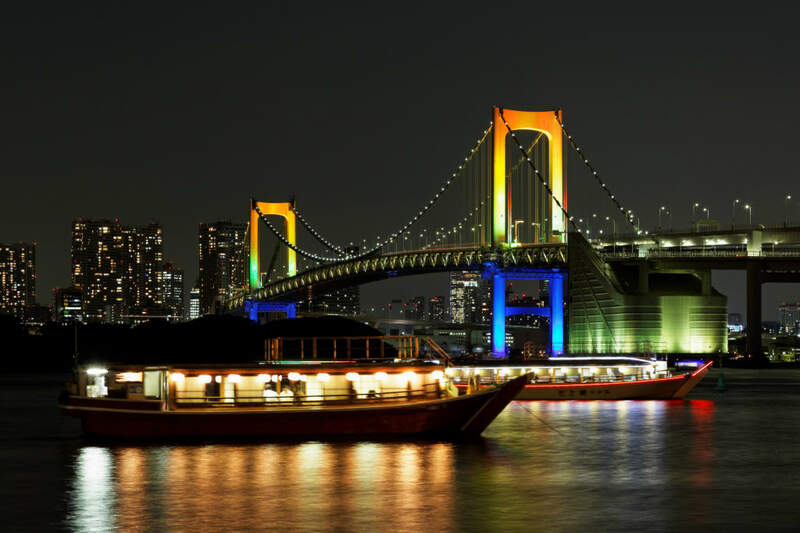 It departs at Takeshiba Passenger Terminal, and takes you on a cruise of Tokyo Bay. On the ship, you can enjoy entertainment such as a variety of food, music and dance, as well as a beautiful night view.Many people choose to wear Yukata on this cruise, and it is gaining popularity as a hot spot to enjoy Yukata year by year.Why not join in and have your very own Yukata experience on this cruise? With Yukata rental and dressing services available, anyone can enjoy it, even those who do not own one, or know how to put one on. Another reason to choose Tokyo Bay Ship.Enjoy the summer of Japan to the fullest in the calming sea breeze. ※ Fee includes ship, free drink, and tax. Conditions and fees may vary depending on date, time, place, performer, and event. Please contact the venue / organizer in advance or check the official website for the latest information. Summer is the time of limited haunted house attractions at Tokyo Dome City, and this summer you can visit the Barber Shop of Terror. In this haunted house, you will participate in the story by engaging on a mission, allowing you to fully experience the true meaning of fright along with the story. The mission: walk the haunted house while wearing a necklace. Step into the barber shop where a horrible tragedy had occurred, centered around the necklace. It is said that the grudge of the tragedy haunts this spot to this very day, in search of a necklace, where a razor lurks in the darkness, and aims at your own neck! There are two modes: Normal and Super Scream. Super Scream Mode begins after 5 o’clock PM, with an upgraded dose of fright more spooky than Normal Mode, for your added horror enjoyment. Come enjoy the haunted house experience in Japan. ※ Director is different between Normal Mode and Super Scream Mode. ※ Admission time subject to change depending on space and availability. ※ Closes at 9:00PM after September 1 (Fri). TOKYO ART CITY is a project that aims to express the “city” with projection mapping and gigantic models, the theme being “Tokyo,” which continues to change under the concept, “city is art.”At this time, under the theme of “Tokyo,” Naked uses the latest technology, such as projection mapping, with a massive model of Tokyo, to express the charm of the city as art.Naked has been working on reconstruction and construction of space and experience in national spots of Tokyo such as the Tokyo National Museum and Tokyo Tower. It started in 2012 with the Tokyo Marunouchi Station building mapping TOKYO HIKARI VISION.Naked has mobilized more than 1.5 million people. 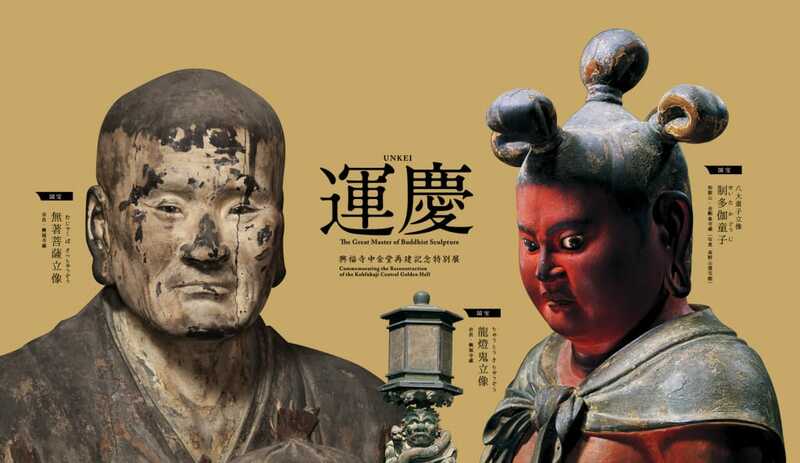 In this exhibition, various events are prepared with various ways to experience the entertainment. Enjoy this artistic contemporary space beyond the boundaries of art, entertainment, and technology! Unkei is a Japanese sculptor said to have had an incredible shaping power, creating images full of realism as if they themselves were alive. Though the exact birth year of Unkei is unknown, his son Tankei was born in 1173 (3rd year of Jōan Era), and the sitting Buddha (Vairocana), a national treasure of Enjō-ji Temple considered to be his maiden work, is said to have been created around 1175 (the first year of Angen Era), so it is thought he may have been born around 1150.This exhibition is held to celebrate the reconstruction of the Central Golden Hall of the Kofukuji Temple, the first time it has been reconstructed in about 300 years.At the exhibition, we will introduce the achievements of the lifetime of Unkei, gathering masterpieces from various places, including Kofukuji. In addition, we will also arrange pieces of work from Kōkei, the father of Unkei, and his sons, Tankei and Kōben, following the style of Unikei and how it was established and succeeded to the next generation. ※ Disabled persons and their caretakers are free. Please present certification upon entry. In fall of 2016, I visited Rome and London. This autumn, the long-awaited exhibition will at last be held in Tokyo.We will introduce Japanese housing construction by 56 Japanese architects through more than 400 models, drawings, pictures and images.At the exhibition, the houses will be divided into 13 themes, including “Prototypes and Mass Supply”, “Earth Concrete”, “Family Ideals”, and more. 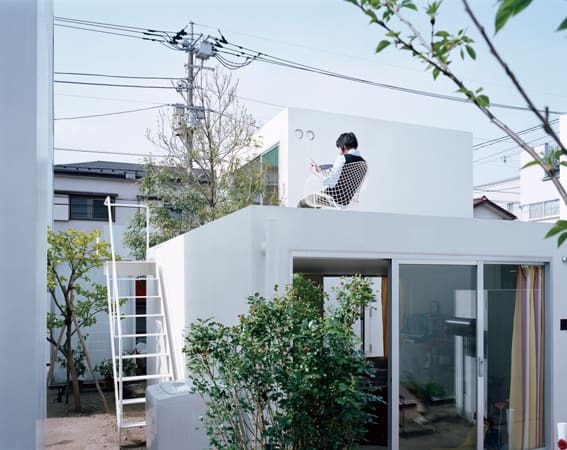 This will help you learn about the characteristics of typical Japanese housing constructions.We will also focus on the postwar period, a time when the conditions for establishing Japanese housing faced some dramatic changes. From that period until now, I believe that the lives of Japanese people have changed, and by studying these Japanese homes, one can truly understand Japanese living and culture. ※ High School students, under 18 years old, and handicapped persons plus attendant (1 person) are free. Please present proper ID/certification for applicable category upon entry. ※ Students enrolled with Campus Members can enjoy discounted fee of ¥500 with valid student ID card. ※ With the admission fee of this exhibition, you can see the “MOMAT Collection” (4-2F), and “Producing / Discussing / Looking at / Hearing Sculptures” – small projects from the collection” (2F Gallery 4) – day of admission only. Same-day re-entry ok with admission ticket. ※ Discounted rate after 5PM on Saturday and Saturday (General: 1,000 yen / University Student: 700 yen). ※ Special rates for second-time viewers with used ticket presented upon entry (General: 500 yen / University Student: 250 yen).